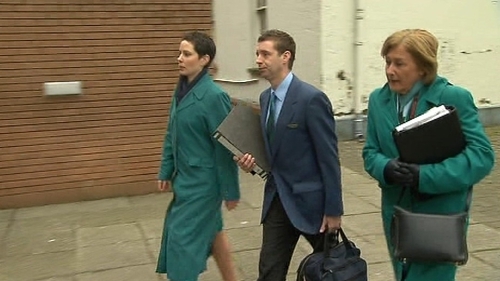 Talks aimed at resolving the Aer Lingus cabin crew dispute have adjourned without agreement. LRC Director of Conciliation Kevin Foley adjourned the proceedings for the evening to allow the commission to reflect on what has been said today against the background of what it was asked to do by IBEC and Congress. The Commission will make contact with both parties around lunchtime tomorrow. At that point it will make a final assessment as to whether there is any value in reconvening the process. Earlier, Mr Foley was briefed by IBEC Director of Industrial Relations Brendan McGinty and ICTU General Secretary David Begg. Mr McGinty and Mr Begg met delegations from Aer Lingus and IMPACT this morning. Aer Lingus management and IMPACT have agreed to a two-stage talks process. In the first stage, the two sides will attend the LRC for conciliation, which will allow them to refine the contentious issues concerning the disputed rosters. Once that refining process is complete, the parties will clarify those issues with arbitrator Kieran Mulvey. 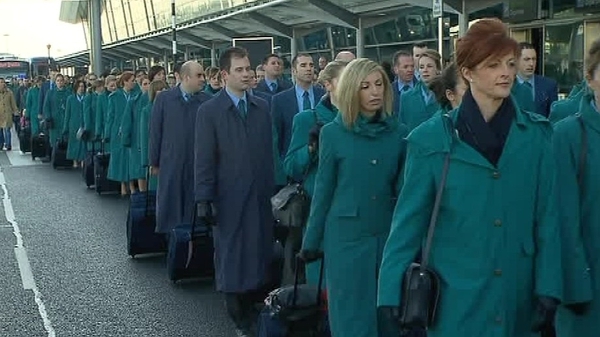 Arriving for this morning's meeting, Aer Lingus Chief Human Resources Officer Michael Greally said the current disputed rosters were required to enact the commitment to flying 850 hours per year. However, he said the company was prepared to look at everything as long as it guaranteed 850 hours. Mr Greally said that disciplinary procedures against some staff who have refused to operate the disputed rosters were continuing. He said the airline was continuing to operate 90% of its schedule. Mr Greally acknowledged there was a cost to the airline from hiring in planes and crews, but declined to disclose that cost. IMPACT spokesperson Bernard Harbor said the union was there to get a solution, but would have to see if the company was in the same territory. He said that none of the binding recommendations up to now had covered the rosters in contention. He said that staff are worried and that no-one liked being put off the payroll. However, he said his members remained solid. Mr McGinty said everyone was deeply aware and concerned about how serious this dispute was, and that jobs were at risk. He said it was in everyone's interest to get this resolved as soon as possible.